That's a lot of grey. We wondered what other sites' early interfaces were either absent from our memories or overridden by later versions, so we dug up these gems. 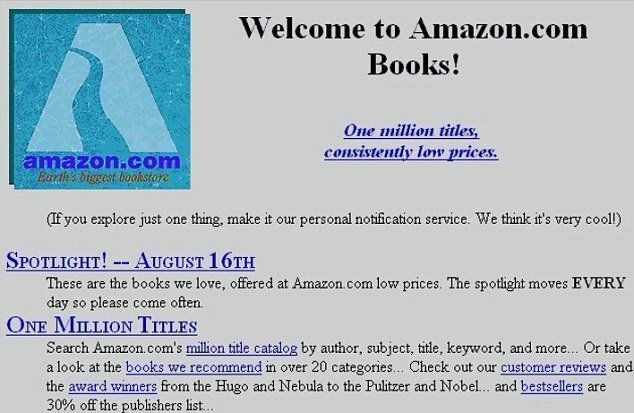 Unless you're an impressively early adopter with a photographic memory, these sites' first editions will make you feel roughly 1.5 million years old. 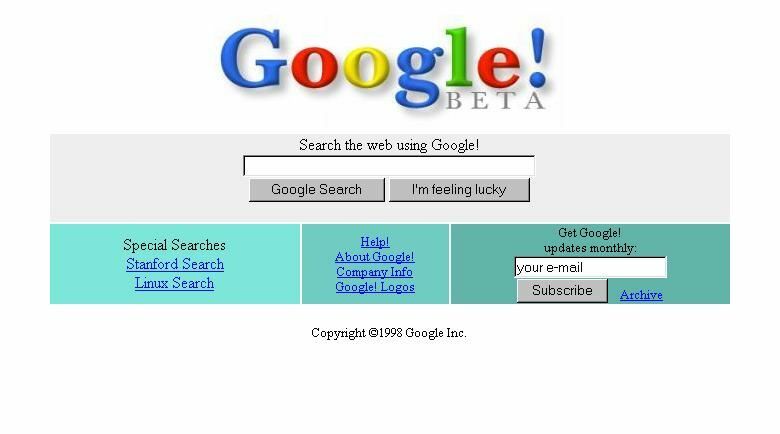 Google just could not even when it registered its domain name in 1997 and put four exclamation points on its homepage to prove it. 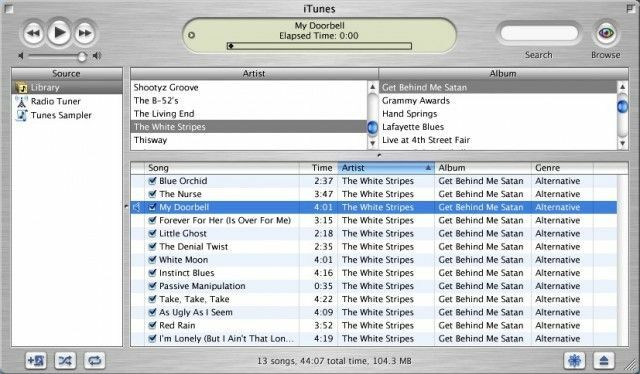 Apple purchased SoundJam MP from Casady & Greene in 2000 and converted it into iTunes 1.0, which looks surprisingly similar to today's rendition considering the drastic changes other interfaces have undergone -- except for the part where people uploaded White Stripes songs onto their iPods. 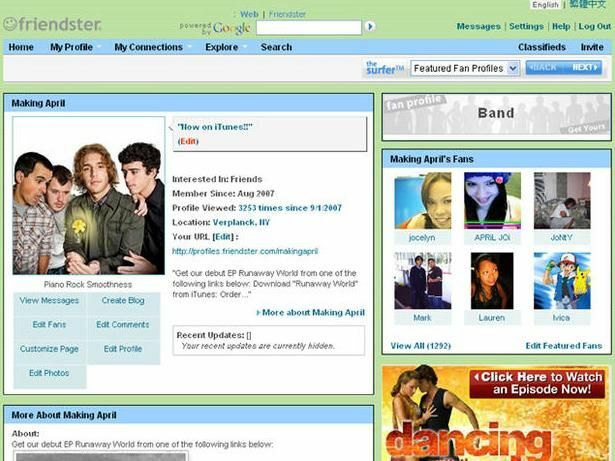 For those too young to recall, Friendster was a sort of Myspace meets OKCupid that never gained steam after the early aughts, calling it quits last month after a brief stint as a social gaming site. But its pastel borders will be forever memorialized in the hallowed halls of Google Images. 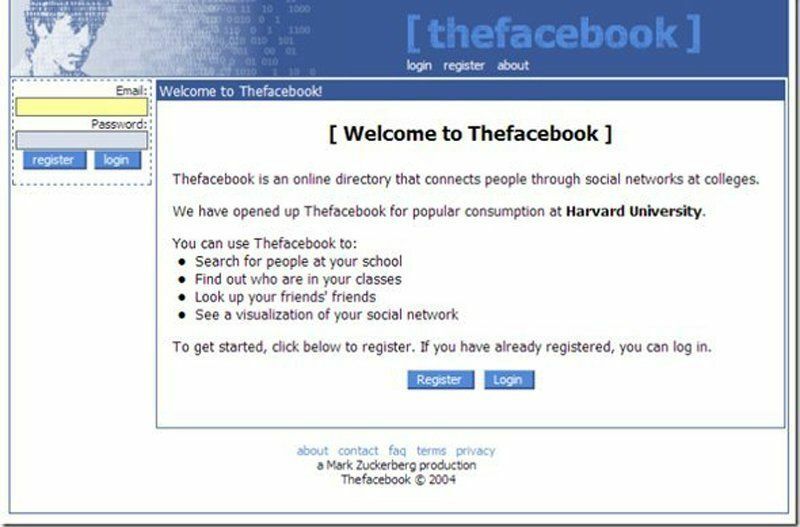 Though "Thefacebook" sounds about just as natural as "the Iraq," that was the site's name when it was first released "for popular consumption at Harvard University." 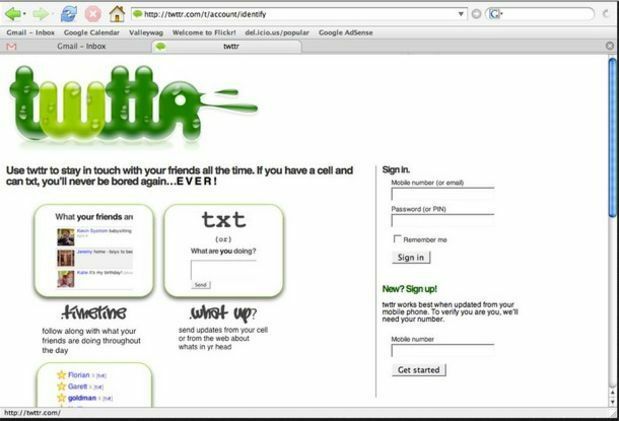 Apparently, the original Twitter logo looked like leaves collecting dew and had the "e" dropped Grindr-style. "What up?" in 1990s-tagger font belies its 2006 launch. 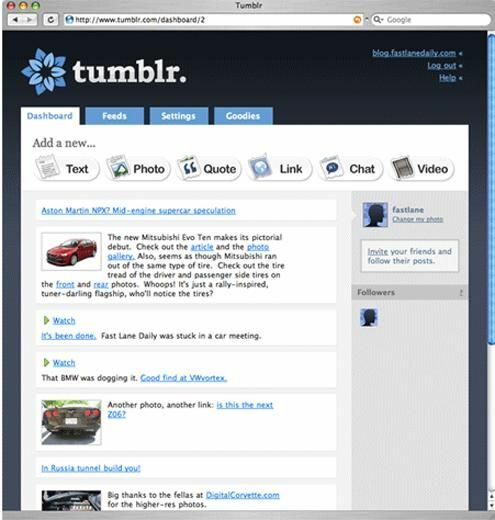 In February 2007, Tumblr founder David Karp tried to make the word "tumblelog" happen. That didn't work out too well for him, but people were so pleased with the platform's early dashboard that there's now an extension to bring it back. I mean, look at that flower! Compared to the other sites on this list, Instagram is as young as the little puppy pictured in this tutorial from its launch year of 2010, which displays a similar interface to the current one -- aside from that cool retro camera in the old logo. Here's to feeling like dinosaurs when Instagram celebrates its 20th anniversary, after it gets rid of the camera logo altogether because nobody will remember what a camera even is.